Getting Things White for Spring – Glorious Spring. We have been busy and it has been good but I have been neglectful, so I hope today’s entry makes up for it. The new site in American Classics is growing in customers and we are happy as can be. We added the Victorian Section and that too has grown in popularity. The other day I spoke with a woman who was getting married and she was going to have a Victorian / Steampunk wedding. Because of our yellow tag sale, she bought things right and left. That would be a fun wedding to attend. I hinted my behind off, but to no avail. Another lady asked me how to get older linens white. Here’s a quick formula I use for the linens here. It’s a gentle remedy. In a large roaster or pot, (I use the roaster we roast the Turkey in.) fill with hot water and several slices of lemon. Bring to a boil, turn off the heat and add your linens. I sit the roaster over two of my top burners. Use a wooden spoon to push them down until they become completely submerged and saturated with the water. Cover the pot and leave overnight. I cover mine with tin foil. 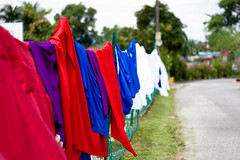 The following day, rinse well, wash with mild detergent and water as usual and then lay the items out in the sun to dry. Another way to do this, especially while it’s still cold outside when you would end up with frozen linens, is to use Biz & Oxyclean Use 1 Scoop Biz and 1 Scoop Oxyclean to 1 Gallon Hot Water. Soak in the hot water for up to 48 hours, then rinse and launder as usual. Use the scoop that comes with the Oxyclean. This works very well. By the way, I don’t know about you, but I can’t wait for spring to get here.